The Integrated Science course enables students to investigate science issues, in the context of the world around them. 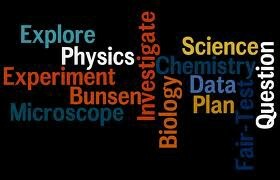 It incorporates aspects of biology, chemistry, geology and physics, and can also include less traditional areas such as forensic science and biotechnology. Integrated Science encourages students to be questioning, reflective and critical thinkers about scientific issues. Students apply their scientific knowledge in areas such as vehicle safety and driving, personal lifestyle choices, the management of water resources, environmental issues associated with the exploration and mining of natural resources and the sustainable use of energy. Students develop a range of practical skills and techniques through investigations and fieldwork in context and use scientific evidence to make informed decisions about scientific issues . This course provides an excellent basic Science general knowledge and helps develops skills that are essential for citizens to function in our modern world.